Once in a while, even in such a team-oriented brand of basketball as Europe's, the inspiration of one player can make all the difference. 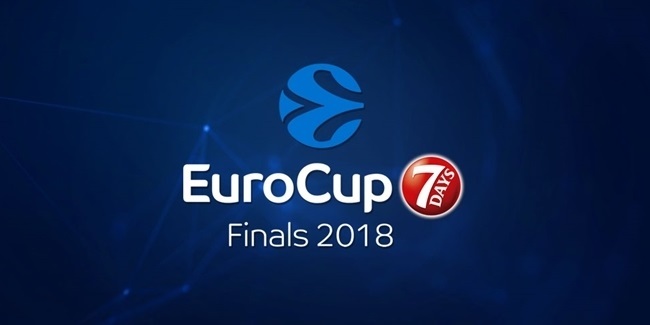 There is no doubting that in the 7DAYS EuroCup elimination rounds this season, that was the case with Scottie Wilbekin of Darussafaka Istanbul, as the final game of the season proved again. Invested by head coach David Blatt with the responsibility of running the team and taking charge whenever he stepped on the floor, Wilbekin did so almost without fail this season. Blatt correctly pointed out that Darussafaka's three losses this season came with either Wilbekin or his fellow all-7DAYS EuroCup teammate JaJuan Johnson missing from the lineup. Otherwise, Darussafaka was perfect and Wilbekin's personal win-loss record for the season was 19-1. And even though he was the regular season MVP, Wilbekin took it up a notch, and more, in the playoffs. In the quarterfinals, against the third-best defense in the competition, that of Buducnost VOLI Podgorica, he settled for 19 points, 5.5 rebounds and 5.5 assists per game. In the semifinals, against FC Bayern Munich, his scoring soared to 32.5 points, but his assists jumped to 6 per game, too. His 41 points and 10 three-pointers made on the road in Game 2 were both all-time EuroCup records for non-overtime games. And all were needed to outlast Bayern 83-87. No less an authority than Bayern coach Sasa Djordjevic – a Word Cup, Olympics and EuroBasket silver medalist over the last four years -- had this to say after: "We witnessed an incredible individual show by Wilbekin... It was really something that goes beyond – that shows you why the players are the biggest stars of this sport and why they make this sport great." In the finals, Darussafaka faced undefeated Lokomotiv Kuban Krasnodar, whose defense had allowed just 68.65 points in the team's 20 wins until then. It's safe to say that Lokomotiv spent a lot more time than ever devising defensive plans for how to stop one player: Wilbekin. There was even some sense of having done a good job in Game 1, until Wilbekin's fifth and final three-pointer shockingly sent the game to overtime, where Darussafaka stole the home-court advantage. The coup de grace came in Game 2, in whose first half Lokomotiv seemed to play well enough, only to see Wilbekin's fourth three-pointer break a tie to give him 19 points already as Darussafaka led 39-33 at halftime, never to trail again. That came on top of his first-quarter buzzer-beater, and to add insult to injury, as one TV announcer remarked, Wilbekin's shots had not even touched the rim yet. They were good when he launched them. This all happened despite Lokomotiv running a parade of defenders at him and sometimes more than one, just to force him to pass. But Wilbekin was a step ahead always. At one point he slipped two of them only to meet another in the middle of the lane, whereupon he passed smoothly to Johnson in the corner for a wide open three. When a taller defender, Chris Babb, confronted him on the three-point arc, Wilbekin just put more legs in his shot, soaring higher to stick another triple of his finals-record 10 total in two games. When Lokomotiv got as close as 49-44 late in the third quarter, Wilbekin smartly started driving and got fouled 3 times, making all 6 of the free throws to restore a double-digit lead. And when Lokomotiv got as close as 58-54 with 2 minutes left, Wilbekin just stepped out deeper to launch the last killer three that gave him 28 points, tying the record for a finals game. Another coach who tried to stop him, Sasa Obradovic of Lokomotiv, could only tip his hat to Wilbekin in the end. "I cannot say anything bad to my players," he said after it was over. "We can have a deeper analysis but, like other teams, we had a problem with Wilbekin. He scored unbelievable shots in some situations. 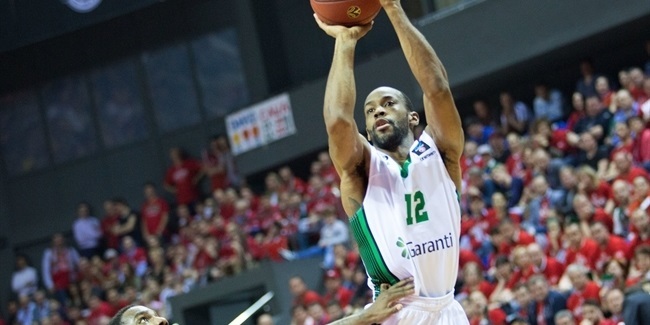 Honestly, he was the one who made the difference for Darussafaka." That is not the normal reading of why teams become champions in European basketball. But in this case, it was true. In the end, what Wilbekin did most was give his team tremendous confidence that no matter how tough things got or how difficult an opponent was, somehow Darussafaka would prevail. As Wilbekin took care of the offense, the others rose on defense and hustle plays and rebounds. Johnson, for instance, matched a finals record with 6 blocks. 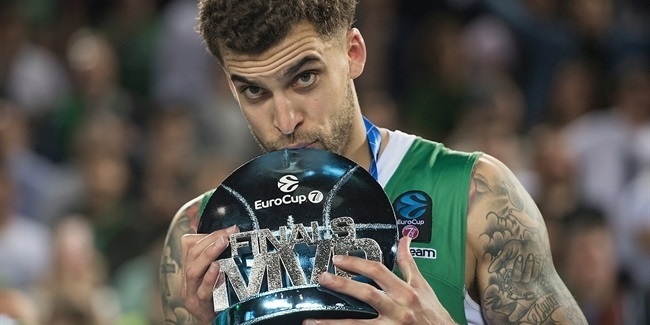 But for this once, it could clearly be said that Scottie Wilbekin – for the regular season, semifinals, full season and now 7DAYS EuroCup Finals – was the MVP by acclimation, the no-doubt reason why Darussafaka is returning to Turkish Airlines EuroLeague next season. If not exactly true, it often seemed as though it was Wilbekin against the world. And he won.